Nearly 4.5 million people visit Napa Valley each year. It’s a bucket list experience: Wine tours. Gourmet food. Picturesque rolling hills. Pampering. For Celeste Carducci ’77, the dream is being able to offer her guests a blend of everything she loves. 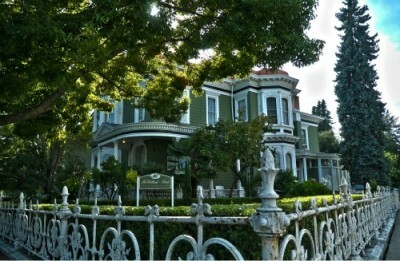 Celeste Carducci owns the historic McClelland-Priest Bed & Breakfast Inn in Napa’s historic Abajo-Fuller Park District. Her guests are treated to the full Napa Valley experience – one the FIU alumna has perfected, much like the fine wines for which the region is known. Her luxury B&B combines more than 30 years in the hospitality business and a unique talent set. Carducci started out in the industry working for her mother at the Seaway Hotel in upstate New York. Her mom was one of the first female hotel managers in the area, and by her side, Carducci learned it all: housekeeping, lifeguarding, night auditing and front desk management. After completing a summer hotel program at Cornell University, Carducci was officially in love with the hospitality industry. She attended FIU’s Chaplin School of Hospitality and Tourism Management after hearing from industry managers that the school was among the best for job placement and hands-on experience. Right out of college, she was hired by the Marriott Corporation and then went on to work for a wine distributor in Washington, D.C., for several years. In her spare time, Carducci taught health and fitness classes in Virginia. Shortly after, she took a management position with Nieman Sporting Clubs of America. Carducci’s ultimate goal was to meld her talents and expertise in the hospitality industry. Moving to Napa and opening a B&B was the first step. “I finally began pursuing my dream of blending the careers that I so much enjoyed when I moved to California,” she says. In 1988, Carducci bought the grand 1879 Second Empire Italianate mansion from Dr. Ethel Priest. The house was the former residence of Joseph McClelland, the owner of Napa’s general store. She lived in the home while renovating. The McClelland-Priest Bed & Breakfast Inn opened with two rooms in 1991. The house offers a glimpse into Napa’s past. “What I have done is bring the house back to its former splendor, making every effort to preserve its historic integrity,” says Carducci of the 5,800 square-foot home listed in the National Register of Historic Places. The chandelier, marble fireplace and wallpaper are original to the house. 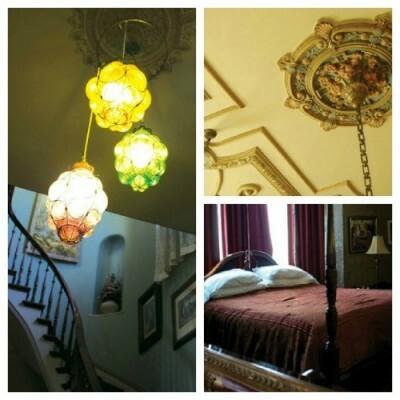 The now-six-room B&B features large suites with fireplaces, Jacuzzi tubs and private baths. Each room is named in honor of a famed composer, writer or artist. The former library, now the Carducci suite, is named in honor of Celeste’s grandfather, Giosuè Carducci, who won the Nobel Prize in literature. The historic landmark, which feels like a family home with family photos throughout, plays host to weddings, private receptions and tourists from around the world throughout the year. Carducci says more and more tourists are taking advantage of B&Bs. Large vacation search engines like Expedia have begun featuring them. And even in a struggling economy, Carducci’s bookings ran over industry average last year. She also serves as a fitness guide for her guests. The B&B offers one-hour sessions that can include yoga, stretching, body sculpting, running, walking, or spinning. For those who prefer something less structured, Carducci recommends walking trails with breathtaking views. In 2007, Carducci started looking for a new venture to add to the mix. “Napa was missing a wine bar,” she says. Having spent years in the wine industry and studied wine at FIU, in France and in Italy, she was confident that she and her husband Bruce Ahnfeldt could pull it off. They bought and renovated a circa 1900 home in downtown Napa. In 2009, the pair opened Uncorked at Oxbow, an untraditional tasting salon where guests are encouraged to get up and sing or play the guitar. Wine enthusiasts are savoring Uncorked. In 2011, Carducci submitted 12 Ahnfeldt and Carducci Wines to the San Francisco Chronicle Wine Competition, all 12 were awarded medals. In the 2011 America Fine Wine Competition, the 2007 Ahnfeldt White Label 100 percent Cabernet Sauvignon took home gold and the 2007 Ahnfeldt Merlot won the organization’s silver award. FIU Magazine Editor Deborah O’Neil MA ’09 contributed to this story.